Break-ins involving doors fitted with euro-cylinders are on the increase. When subjected to a physical attack, an ordinary cylinder will snap at the fixing point, causing the cylinder to fall completely out of the door and rendering security breached. The solution is to fit a Squire Stronghold® Security Cylinder featuring SnapsafeTM. This is a specially designed feature which engineers a pre-determined snap point which is in front of the fixing point. When the cylinder is attacked it will snap, leaving most of the cylinder still in the door and still working, maintaining security. SnapsafeTM Anti-Snap and BumpsecureTM Anti-Bump functions come as standard on the Squire S1 Open Profile Cylinder Range. 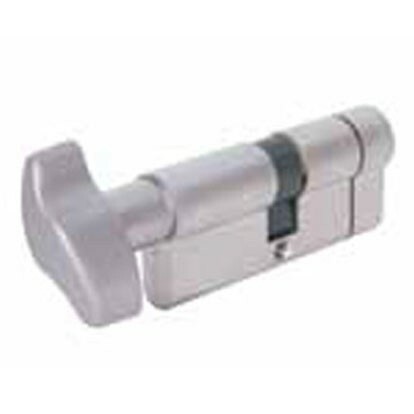 High quality 6-pin locking system with nickel plated pins. 262,000 keying differs. Picking protected. Drill protection in cylinder body with 1 alloy steel pin. Drill protection in core with 3 alloy steel pins. Protection against pulling. High wear resistance. Supplied with 3 nickel plated brass Squire keys.